China Chen opened in November in Valrico and specializes in traditional Chinese food. It serves roasted duck, Char Siu pork and roasted pork as well as other Chinese dishes. Liyuan Chen came to the United States at the age of 40 in hopes of starting a new venture and providing for his family. Chen brought with him cuisine from the Canton Province of China and Hong Kong, and worked with his four sons in many restaurants in Tampa until he opened China Chen. It is a family-owned and operated restaurant. Some of the more unique meals served at China Chen are dishes like the salted fish with chicken eggplant, and frog with bitter melon. 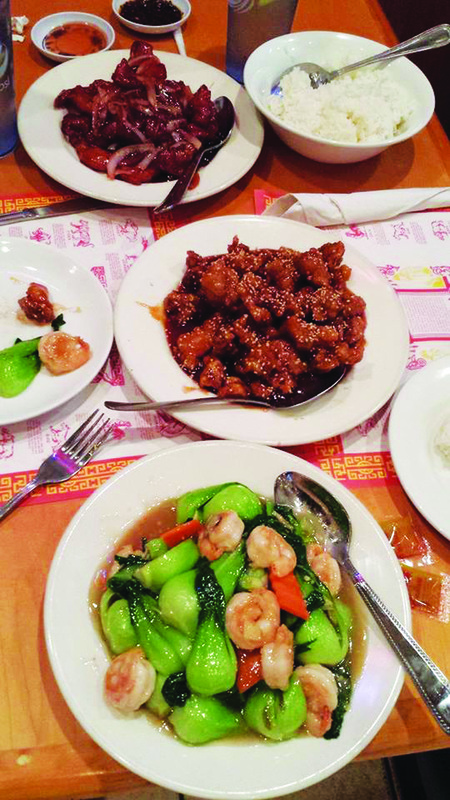 China Chen also offers food ranging from beef to seafood and pork, as well as many chicken dishes. Orange chicken, sweet and sour chicken and sesame chicken are all served there as well as Mongolian beef. Diners can also choose to pick any three items off a list for $20.99 and the dishes are quart sized. It also offers combinations, where entrees include jasmine rice or fried rice and soup or an egg roll. China Chen is located in the Winn-Dixie anchored plaza located at 2519 S.R. 60 E. in Valrico and they deliver food within a five mile radius. It is open seven days a week from 11 a.m.-9:30 p.m. For more information, visit www.chinachenfl.com or call 662-2997.